Thank you to each of you who, over the past ten years, have assisted in creating one of Seattle’s newest and most artistic city attractions—Jimi Hendrix Park. 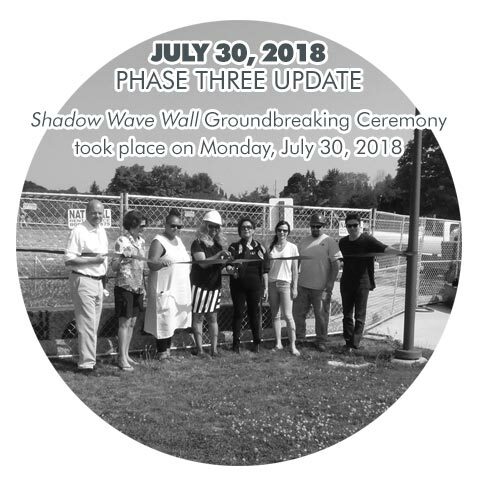 Our evolution continues this summer as we’re fast approaching the start of our third and final phase of construction, which includes our flagship art installation—The Shadow Wave Wall. Because we believe you share our passion for the project and have an interest in and a love for Jimi Hendrix and his legacy, we did not want to move toward completion without inviting to you to be a part of this amazing culmination of hard work and dedication. We’re experiencing exciting times at The Jimi Hendrix Park, as we near the ultimate fulfillment of our dreams. You may recall, in 2016 we unveiled the results of the first phase of construction, including all the main green spaces and pathways within the 2.5-acre park. In 2017, additional pathways, curbs and landscaping, plus the artistic structure for our central canopy, marked the completion of phase two. This central gathering place and performance umbrella served as our stage during The Jimi Hendrix Park’s festive grand opening celebrations. While our dream is materializing in stages, we have yet more to realize. And we are hoping that you will be a part of this exciting step toward completion. 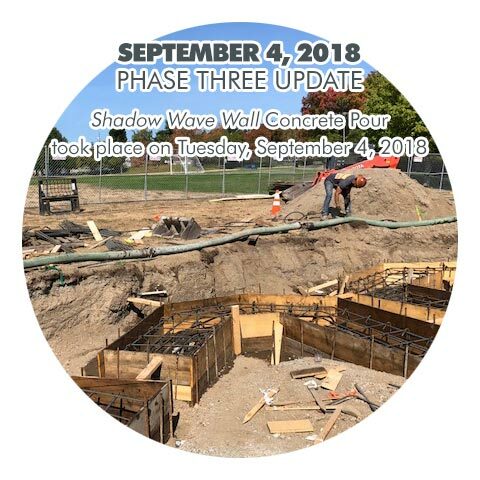 Today, we’re asking for your help in funding the construction of our third and final phase in the park redevelopment, with the creation of The Shadow Wave Wall. When completed, this elegant, artistic installation will comprise more than 105 feet of magnificent metal designs that capture the essence and free flowing style of Jimi Hendrix’s music, with an apex standing nearly 11-feet, and an engraved portrait of Jimi at the center. Because of the enormity of this crowning feature, we are presented with a need for help in reaching our funding goal. Thanks to the generosity of patrons, we have successfully raised more than $347,000. However, we remain $220,000 away from our goal. With your help, we can reach that goal and complete this incredible labor of love! 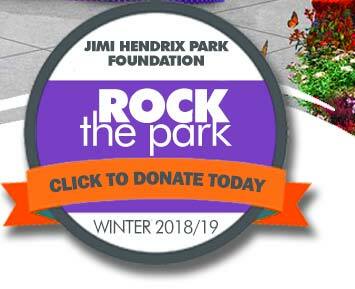 As a federally registered 501(c)(3) non-profit organization, 100% of your tax-deductible gift will go towards finalizing development of The Jimi Hendrix Park. Our success will be your success! Please, let’s work together to fulfill this vision. Again, thank you for your support in completing the transformation of what once was mere acreage into an innovative and inspiring space befitting of and honoring its namesake—Jimi Hendrix. 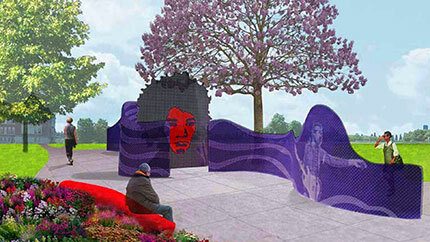 Inspired by the music and legacy of Jimi Hendrix, the park, named in his honor, will beautify Seattle, motivate youth and others to achieve in music and art, and strengthen the cultural pulse of the Emerald City, Jimi Hendrix's hometown. Jimi Hendrix Park is located in the heart of Seattle's vibrant Central District (2400 South Massachusetts Street), a thriving multi-cultural community rich in heritage. Nestled adjacent to the Northwest African American Museum and grounds of former Colman School, Jimi Hendrix Park will be a primary focal point for multi-cultural events, gatherings, and activities for the community.